Mackay and Superspars 420 distributor for Australia and North Sails distributor. 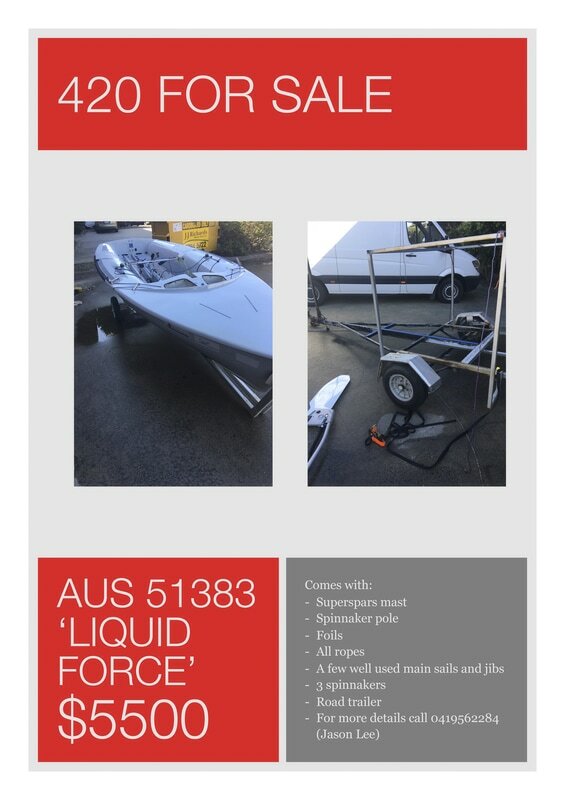 **Posted July 2017 - SailingRaceboats have one New Mackay 420 in stock and are unlikely to receive more prior to the World Championships in December. They have Superspar masts, spinnaker poles, spares etc which we can be sent to the championships. 2. Used Simon Cooke Centreboard and padded carry bag. Lightly used. Purchased from Tom Klemens during 2014 Nationals as a spare and used in one regatta only. Needs a polish. Cost $600 Sell $500. Can sell both together for $750. 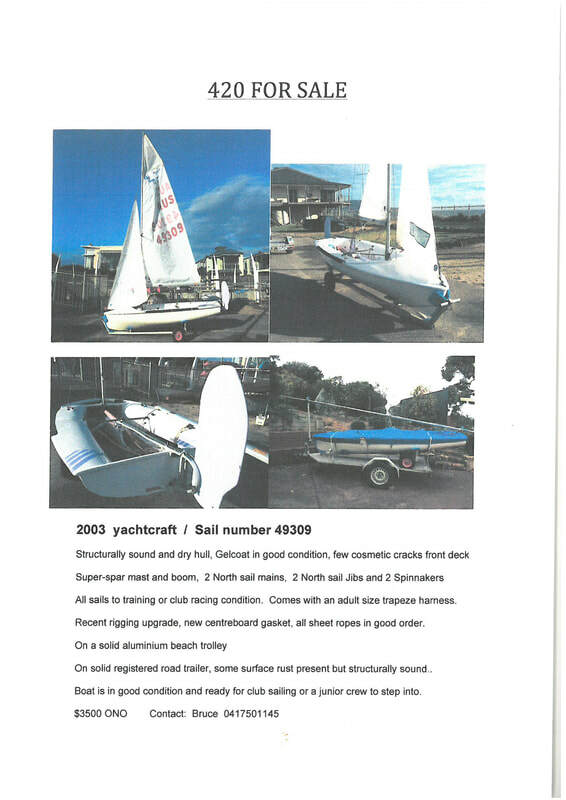 ATTENTION 420 SAILORS - Looking to upgrade your 420 before the upcoming Fremantle World Championships? 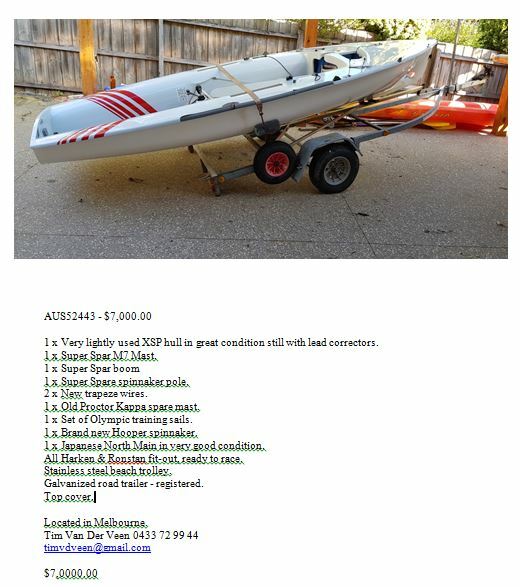 We have brand new or excellent condition secondhand boats available right now!! * Ropes for main, jib and tapered spinnaker sheets.